It takes a lot of courage to start up any music venture these days. With record sales plummeting, massive high street chains such as HMV closing down and major labels struggling to move with the times, you don’t often hear “good news” about the business side of music. Unsigned musicians play in venues all over the country every night in the hopes it will lead to their dream career but… How often does someone step up to help that dream come true? So it was a delight when I stumbled across someone brave enough to champion unsigned musicians and provide them with a much needed platform to showcase their talent. She comes in the form of a tall, slim, twenty-something who, three years ago, founded The Music League (more about this in a moment). When I first met Sophie McCreddie, I was instantly impressed by the confidence and sheer passion she has for music and the bands she works with. Dressed in her own quirky style she is charming and intelligent. A musician in her own right, Sophie fronts electro indie band, The Scenes and understands the trials and tribulations all unsigned acts come up against. So with this in mind Sophie thought about setting up a new type of competition with the aim to giving acts the support and guidance they need as well as a decent stage to show the world what they can do. Me: What inspired you to start The Music League? Sophie McCreddie: I am a musician myself (& the only female in the band) but after playing gigs all over London I was frustrated by the gig scene. It seemed to me a lot of promoters were out for themselves and there really seemed to be no end goal to playing lots and lots of gigs and getting your fans and friends to come and see you. 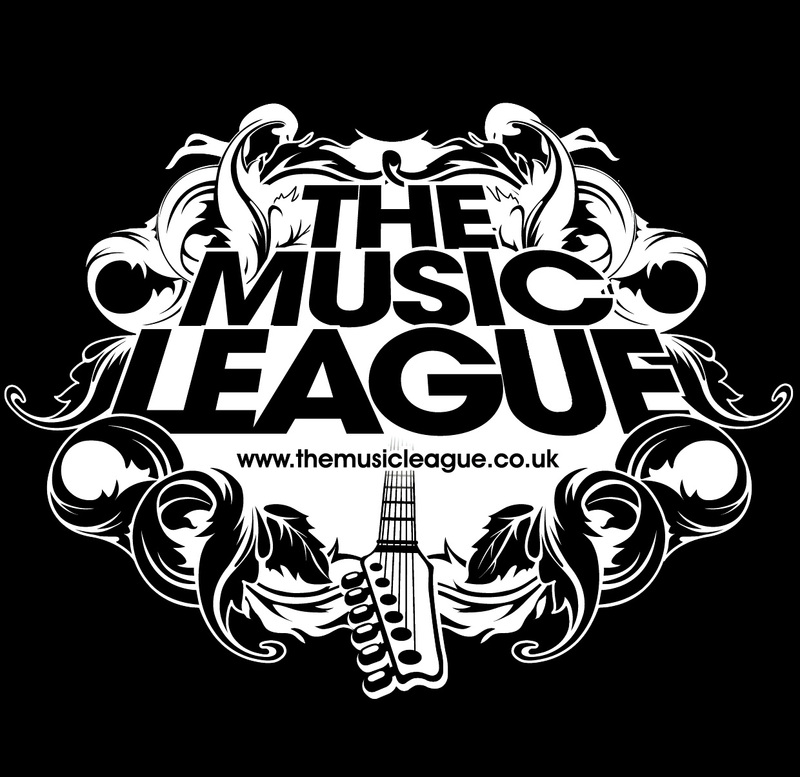 With The Music League (TML) the end goal is something that every act strives to achieve…. a big festival slot. The acts that playin TML not only play to their own fans and friends but to the audience the other three acts have brought along as well. It is a great way for musicians to grow their fan base and meet likeminded musicians. I get a group of music lovers, of all different tastes, together to rifle through all the acts that apply. Together we choose 30 of the best acts to go on to the site and from here the general public choose the final 16 to go into the 8 live rounds. We like to see in the acts we choose; dedication, talent (obviously) and passion in what they do. This has resulted in a really friendly and supportive competition and TMLnights have grown a reputation for providing a wide range of great music. Me: What have been your biggest challenges? SM: Setting it up and running TML by myself has to be the biggest challenge. I have help here and there in different areas but ultimately it is down to me. It was very daunting at first, speaking to festivals and venues trying to explain the idea behind TML but the longer I did it the more I took on board, learned and got to know the best way to do things. I am really luckyto have had help and advice from lots of brilliant people and thankfully venues and festivals such as Winterwell and The Secret Garden Party have put their faith in TML. The acts I have had the privilege to work with make it all worthwhile. Me: You’ve built this up from an idea all on your own – what keeps you going when times are tough? SM: It does get stressful at times. What keeps me going is the idea that got all this started in the first place. I want to get new music heard. So much of the time we are spoon-fed music; those who don’t get themselves out there listening to new artists are told what to like by big music industry machines. I am always so amazed by the level of talent that is out there just screaming to be heard. It’s all about listening to live music. Me: You now manage the band who won TML last year, did it just feel like a natural progression for you? SM: Last year’s acts were so amazing and the top 4 were all just so brilliant. It all, in the end, comes down to how the audience feel and who they have been impressed by. I was impressed by all of them but I, like the audience, was particularly impressed by Nimmo & The Gauntletts. They are so fresh and raw and so now. Their songs excite and recharge you. They are amazing people as well and a joy to work with. It was sort of like asking them out on a date and they said they had been wanting to ask me too……so now we have a relationship…….in the music sense! Me: What about your own band? Do they feel hard done by watching you get other bandstop slots at big UK Festivals? SM: No not at all. The Scenes are totally behind TML. They have been to the nights and think the quality of acts is amazing. We are making our own way. By being in the band I can empathise with all the acts I deal with. I am aware of all the everyday problems they come up against and it seems to work well. Me: Do you miss performing or do you prefer the business side? SM: I used to dread performing but now I love it. The keyboard player in my band and I are actually self recording our EP so I am also involved in the recording and mixing side of things which I find very rewarding. I don’t really see TML as a business, just something that I am totally involved in and committed to. Both are very exciting in their own way. Obviouslyperforming is all eyes on you which I can cope with better now but with TML I am behind the scenes and making the cogs churn and I like to see it all working and coming together which it has so far. Me: The music industry is pretty male dominated, have you found it tough to be taken seriously? SM: Not really. You come across the odd patronising person but then I just steer clear of that. I think some people who work in the industry can be unnecessarily short and unhelpful but generally my experience has been pretty good. I think if you are honest and cut to the chase there should be no one that has anything bad to say about that. In my experience I have dealt with as many women during this process as I have men so that is always positive. With something like TML there is always the chance that people will lump it in withother vaguely similar things but I feel TML is different and offers a lot more when it comesto getting exposure. It becomes a little family for those who have been part of it. I am still in communication with all the acts that have been in past TML nights, offering them gigs or the like that I feel they are suited to. Me: What are you looking for from the bands this year who want to sign up to TML? SM: Well we accept any genre of music, bands, solo artists and groups so you don’t haveto fit any criteria when it comes to that, you just have to be unsigned. It is mainly acts from London we would be looking at although we do allow acts from in and around London. We are just looking for great music. Great songs. Great live performers. Something that will capture people’s interest. Acts who thrive on performing live. Ultimately if you are a great musician with great songs our doors are open. Me: When does the competition start? This entry was posted in Music and tagged Sophie McCreddie, the music league, Unsigned. Bookmark the permalink.